This is one of the most iconic religious sites in the world and usually it’s superpacked with people. Tip: The trick to get photos like this is to avoid high season visits and more importantly do the opposite of what others do. Usually people start their day at sunrise packed around Angkor Thom which is the biggest temple. 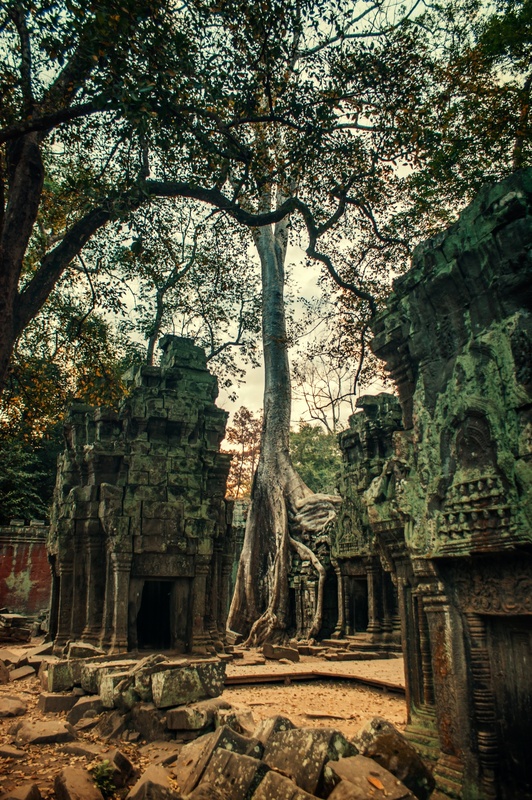 Just tell your tuktuk driver to skip the regular route and head straight to “Tomb raider temple”. Enjoy the best sites without too much hassle.